We did most of the packing and inventory count last evening. 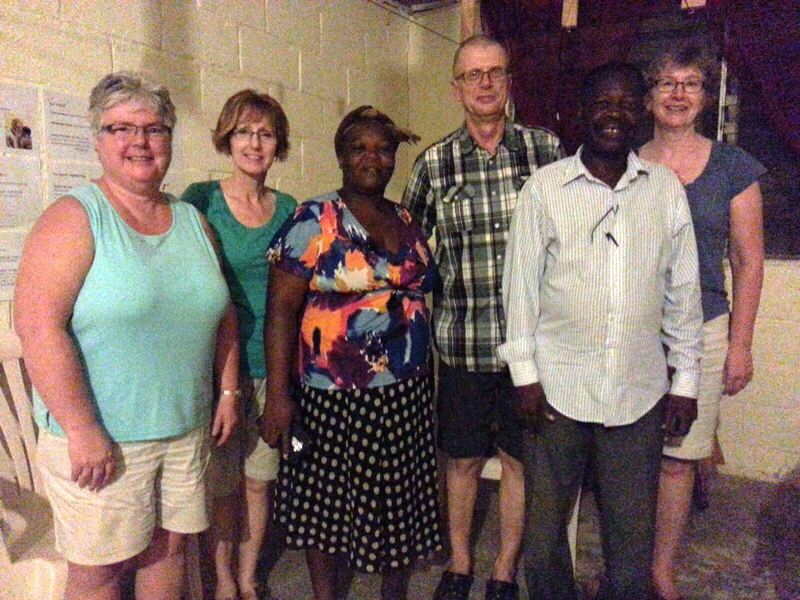 We met with Pastor and Madame Andre for a debrief session. It was so good to share with them again. We are planning to get away by 10:30 am to have time for lunch and catch our flight in good time. The taxi does not sound so good so we are praying for it to get us to Cap Hatian in good time. We made it to the airport, went through security and boarded only to hear the announcement that there are electrical problems with the plane . . . and so our plans changed. We were able to find lodging for the night and were glad for a snack and and early bedtime. In early morning, we were at the airport along with 200 of our closest friends and that's when the airport's power went out. As we waited to board our flight we checked flight connections in Miami. And now we are on our way, off to Miami. When we'll actually get to Winnipeg . . . well, keep praying for the remainder of our flights. Perhaps we'll see you Sunday morning! !